"I'm super thankful for MedVet being open 24/7 because my dog needed to be seen by a doctor on a Sunday and I knew that I could take him there without having to make an appointment or calling our regular vet. I was also very pleased with the staff. They were very friendly and made sure to upated me every time they had new information." MedVet Cleveland West is a premier 24-hour animal emergency hospital on Cleveland’s west side and we have the experience and resources to treat pet emergencies of all kinds. Our emergency medical staff is highly-trained to skillfully assist with any kind of emergency that your pet may experience. In addition to emergency services, our hospital offers specialty services by referral in Cardiology, Medical Oncology, and Surgery. Dermatology, Radiology and Ophthalmology services will continue to be offered by on-site partners. MedVet’s board certified specialists provide care that is custom-tailored to your individual pet’s health needs. Our specialists have extensive post-graduate training in their fields and regularly participate in ongoing education to stay up-to-date on the latest techniques and treatments. 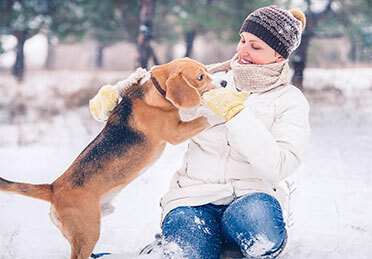 Our goal is to work collaboratively with you and your referring veterinarian to provide the care needed to get your pet back home with you as quickly as possible. We are available for emergency care 24 hours a day, 365 days a year.